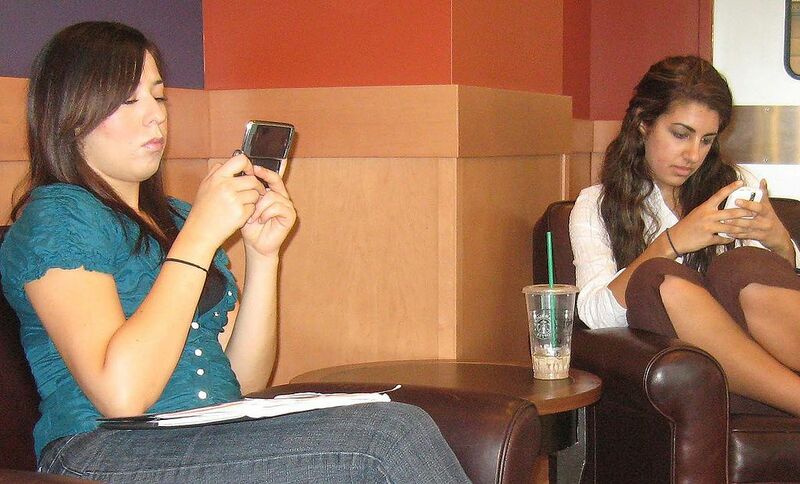 In Sherry Turkle’s book Alone Together, she describes the familiar scene in a coffee shop where two people – friends, lovers, perhaps spouses – sit at a table, each surfing the web or texting someone else on their laptop or cell phone rather than interacting with the human being sitting across from them. This kind of “alone together” can seep into our interactions (or lack thereof) with children, too. Instead of being fully present, sometimes I find myself instead using my cell phone to take pictures so I can remember the moment with a grandchild, rather than actually experiencing it. 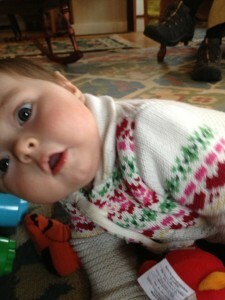 One of my photos shows six-month old Anastasia trying to peer around the phone to see where I’ve gone. It’s harder and harder to be fully present to this moment in this place with these people, when the rest of the world is so readily available quite literally at our fingertips. Oh, I’m not complaining – I love the ease of information, the infinite possibilities. Right now I’m on a plane 38,000 feet in the air, nothing out the window but clouds below and sky above, but I can exchange email with my 93-year old father or peruse my online photo albums or look up a quotation from Richard Feynman or find the words to a forgotten poem. But sometimes we really do need to be fully present to one another, especially to the children. As their caretakers, we are called to be instruments of the love with which God gazes on them, to take immediate delight in their accomplishments as they create mud pies or build block cities, learn to crawl or dance or swim. To be there, simply to be wholly there. I feel (this is embarrassing) bereft and somehow vulnerable if my cell phone is not in my pocket or right next to me. But I am also more alive and attuned if sometimes I can walk away from it and just “be.” I can see my grandchildren better when I’m looking at them unencumbered, not through a lens, not already crafting in my head the email I will send along with a photo. It’s all really just about hanging out with one another in real time. God’s constant call into community reminds us that we’re not meant to go it alone, not even alone together. How does digital technology change your capacity to be fully present? The Rev. Mary Lee Wile is a deacon in the Diocese of Maine. 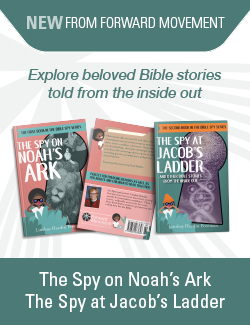 She is the author of the theological novel Ancient Rage, three program books: I will with God’s help, Christ’s Own Forever, This Bread & This Cup, and two children’s books: Star of Wonder and Season of Angels, both through Forward Movement. She has written for Forward Day by Day and Daily Devo. Having served for eight years as a pediatric hospice chaplain, Mary Lee now engages in prison ministry, offers spiritual direction, serves as Chaplain to the Maine Chapter of the Society of Companions of the Holy Cross, and tends grandchildren two days a week. We all need to be present to the moment. I cannot begin to tell you how many times I have seen a 4 yo child being picked up from Sunday School excited to share what they have experienced in the lesson to have the parent say, “Just a minute I need to finish this text.” The look of hurt on the child’s face is totally missed. Personally, I have made the decision to remove email and facebook from my phone and made it a point to only spend one hour in the morning and the evening on the computer reading messages. Yes, I do miss things but, if someone REALY needs to contact me they can call my cell phone, I will answer or get back to them as soon as possible. For me, face to face is best or as personal phone call is best. Being present to the person, picking up facial or voice cues help to know what the person is rally saying of meaning. A text message just will never do that. I remember one flight I was making to Alabama to help care for my dying mother. The woman sitting next to me began to talk with me and, before long, she asked me if she could pray with me. I will never forget the power of that prayer and the sense of comfort and healing it brought to me. I will never forget the lesson I learned that day about being present to the person next to me. There are so many moments filled with so many opportunities. Thank you for your post. It's (still) Easter: time to practice forgiveness.